Whether you call it by its classy French name Béchamel, from the 18th century French Marquis of the same name, know it as “cream gravy” as they do in Texas and much of the South, or simply call it White Sauce as the English like me do, I’m struck by how it’s become the forgotten sauce. If you missed my live event with Denise Vivaldo on BLAB featuring White Sauce, it is the basis of soups and stews, soufflés and gratins; and, we absolutely, categorically, cannot do without it. White Sauce used to be one of the foundations of the kitchen, and it feels ripe for a fashionable come back. Using just three basic ingredients, butter, flour and milk, it is readily available to any cook. As spring is in full force, here is one of my favorite ways to use this delicious sauce. Firm greens such as kale, chard, or spinach are good for this dish. 1. Bring a large pot of salted water to a boil. Discard stems from leaves of greens and coarsely shred the leaves. Boil them until nearly tender, 2 to 5 minutes, depending on type. Drain, refresh the greens in cold water and drain thoroughly. 2. Preheat the oven to 375°F. Make the white sauce: Scald the milk. Melt the butter in a heavy-based pan and whisk in the flour. Cook 1 to 2 minutes until foaming but not browned. Add the milk, whisking, and bring to a boil, stirring constantly. Simmer 2 to 3 minutes, take from the heat and stir in the ham. Taste and adjust seasoning with salt, pepper and nutmeg. Butter a large, shallow, ovenproof dish and spread the greens in it. Spoon the white sauce on top and sprinkle with the grated cheese. Bake for 15 to 20 minutes, until very hot and browned. A gratin can be refrigerated for a day, or tightly wrapped and frozen. Have you ever tried it with pecan flour. I’ve never tried Pecan flour, how interesting! One thing to keep in mind when using a flour like that is you’ll not have the starch you’d get in normal flour which will change the consistency of the sauce. To try to combat this, I’d try some corn or potato starch. Love the forgotten sauce. My grandmother taught me to make this. So delicious! I learned to make this from my mother and have used it more than I could ever tell you. I also came to La Varenne in the 80s while living in Paris. I would love to know if you ever travel to the east coast to speak? Anne does make appearances on the east coast from time to time and plans to in 2017…if you follow Anne’s social feeds we post upcoming appearances or subscribe to our newsletter and you’ll be notified. Greetings from London. 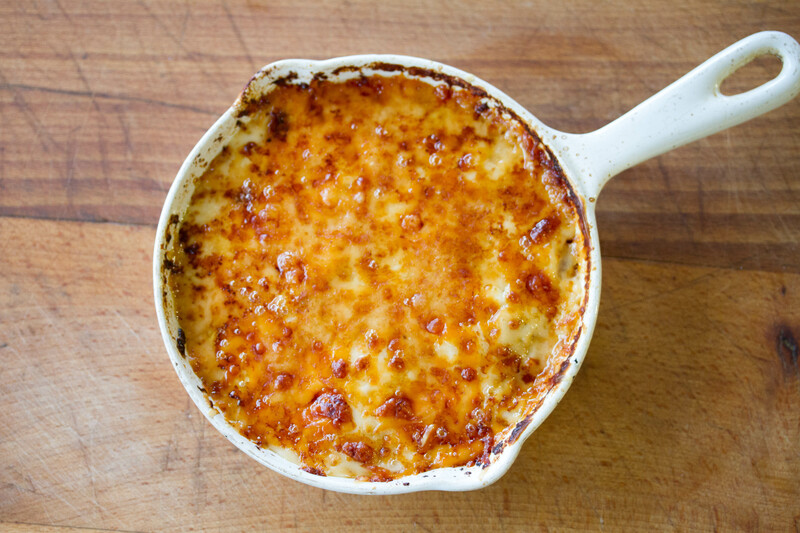 I am so happy you enjoyed the recipe and thank you for the tip for the sauce Mornay.